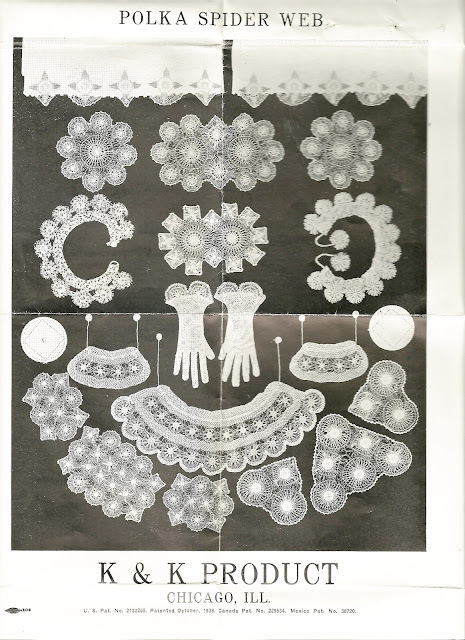 One class of textiles which exemplifies beauty and skill is lace. 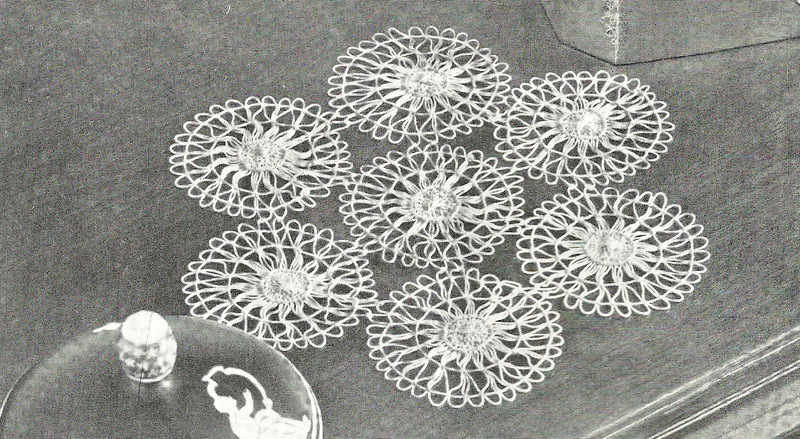 Lace has a long history from the earliest forms of netting to the modern machine techniques which produce gossamer webs of threads. Experts classify lace as either needle lace or bobbin lace but there are other textiles we consider as lace: knitted lace, Irish crochet lace, tatted lace edgings. 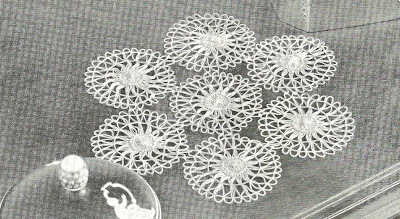 There are dozens and dozens of variations of lace, each with their unique characteristics. This can be a bit confusing. 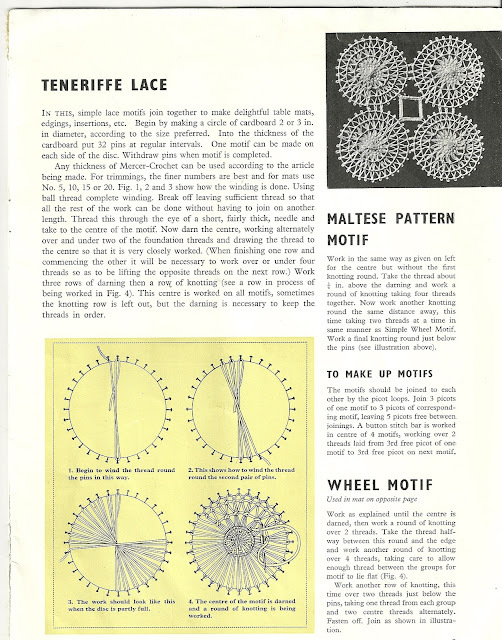 The lace for today is known by several names: Tenerrife, spider, punta de Espana, and sol among others. This lace is a Spanish handcraft from the 17th C for household use and was professionally produced in a 19thC revival. When used for ecclesiastical garments it was frequently embroidered with gold threads. A form was also produced in Paraguay using silk threads. 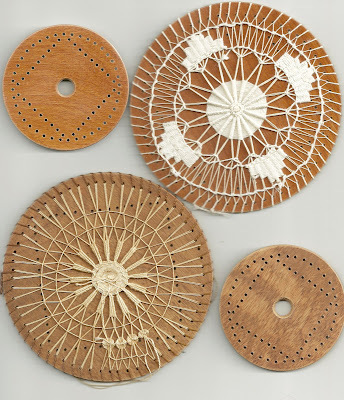 In its simplest form these needle-woven circular patterns are formed by foundation threads that radiate from the center like a wheel with additional darning threads woven in different patterns around the circle. These circles or spider webs are then joined together. 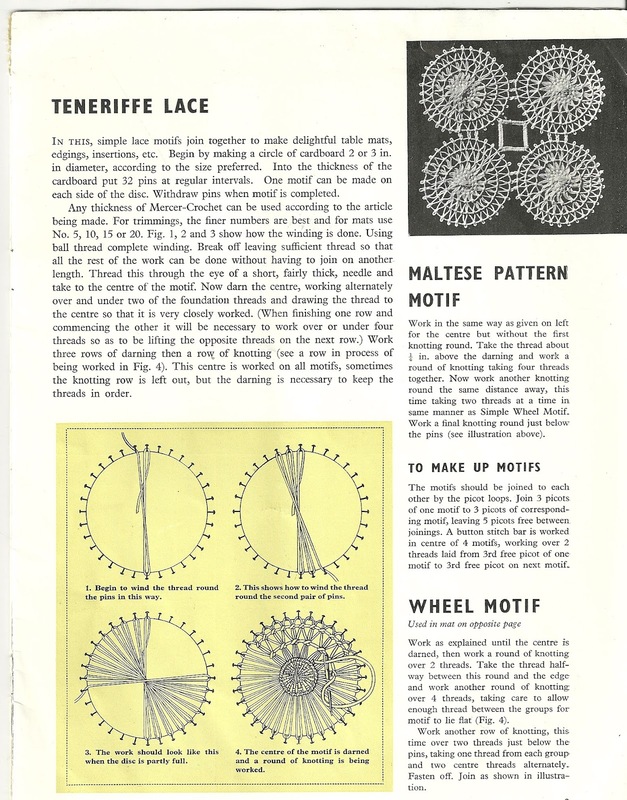 A pattern booklet issued by J. and P. Coats in Great Britain (date unknown) instructs making a circle out of cardboard and placing 32 pins at regular intervals around the circumference. Thread is woven through the circle around the pins. Additional threads are darned and knotted around the center of the web and the pattern radiates outward. 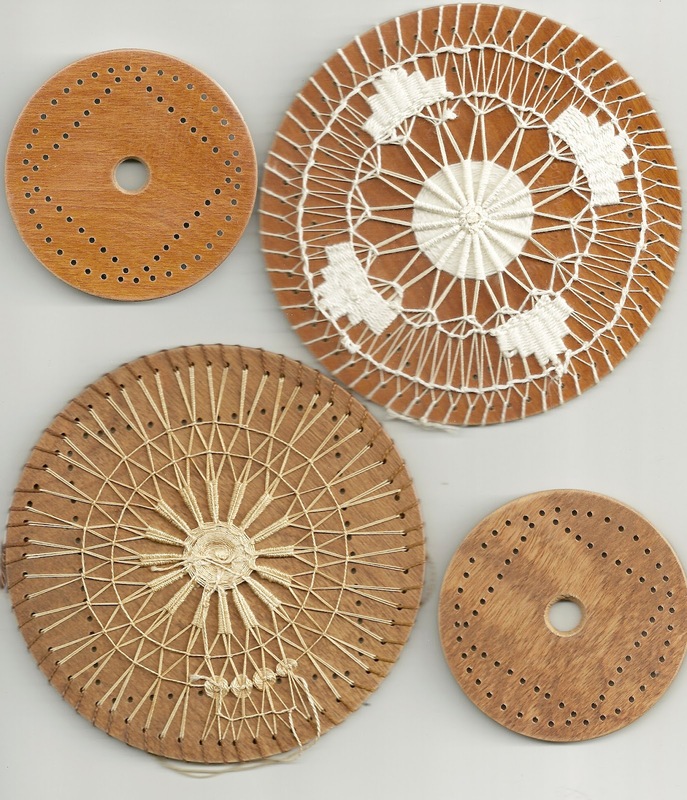 This kit for a “Polka Spider Web” was a product of the K & K Co., Chicago, Illinois, 1938 and included wooden forms (2 large and 2 small) onto which the thread is woven. Note that there is also a pattern for making a square form (you can see this more clearly on the small forms). can still be found in antique and thrift shops.